Originally a series of eight editorials co-written by myself (along with two cover packages in Focus, The Star’s Sunday editorial supplement), it was expanded into a six-month series as its revelations captured the attention of politicians, educators and ordinary Hoosiers alike. 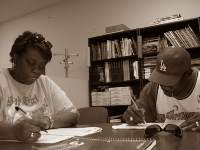 As it moved from revealing how inflated graduation rates hid a dropout crisis plaguing both Indianapolis, Indiana and American society, to discussing the underlying causes, I came up with new ways of dramatizing the issue, including a photo-and-text package discussing the lives of men and women who dropped out of school. By learning how to crunch the numbers and finding more statistics, I also added new, original data that, for readers, expanded their understanding of the problem. By the end of the series, I began focusing on problems in school districts in the suburbs out of Indianapolis to show that the dropout crisis is more than just an inner-city problem. This offered the reader another avenue for understanding the crisis. 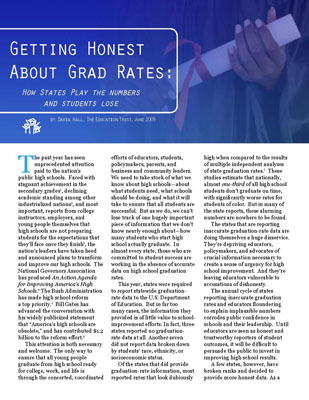 As a result, the award-winning series did more than spur the state legislature to pass legislation targeted at stemming dropouts. Nationally, thanks to mentions by groups such as the Education Trust, it also stirred discussion about the need to reform high schools. Time magazine would ride on the coattails of the series in 2006 with its own report, while teaming up with The Oprah Winfrey Show on a special that ran the same week the report was published. 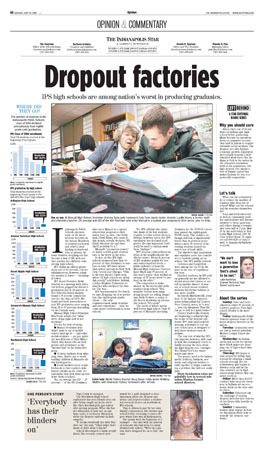 Dropout factories: IPS high schools are among the nation’s worst in producing graduates. ‘Educational genocide’: Males – especially black males – aren’t keeping up with the girls. Early warning signs: IPS looks to smaller high schools to keep kids involved, but the damage often is done before then. A heavy burden: Indianapolis and Indiana are paying a hefty price for failing to deal realistically with the dropout epidemic.